The Organizational Culture of CAP shows the company essence, its reason for exists and the set of ethical and moral values which it conducts its business, concerning its collaborators, customers, partners and society as a whole. Meet the expectation of our clients providing high quality standard products with food safety certification, always searching the improvement and well-being of our collaborators. 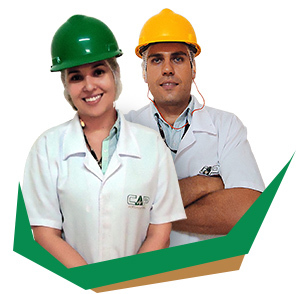 Being the reference for the Brazilian and international peanuts’ industry, trough excellence in quality and continuous innovations. Ethics – We maintain a responsible, clear and respectful conduct to our collaborators, clients, partners, as well as quality, environment and social responsibility. Reliability – We maintain a responsible, clear and respectful conduct to our collaborators, clients, partners, as well as quality, environment and social responsibility. 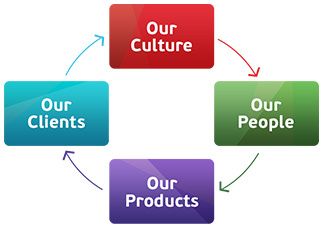 People –We establish a commitment with the development, valorization, team spirit and integrity with our collaborators. Quality – We defend the food quality as an undoubtable value and the excellence on the quality of our products and process. Efficiency – We prioritize the optimization of our resources, by combining the highest productivity and the cost reduction. Innovation – We always search the continuous improvement of our products and process, and being pioneering in our market segment.